Hi there! 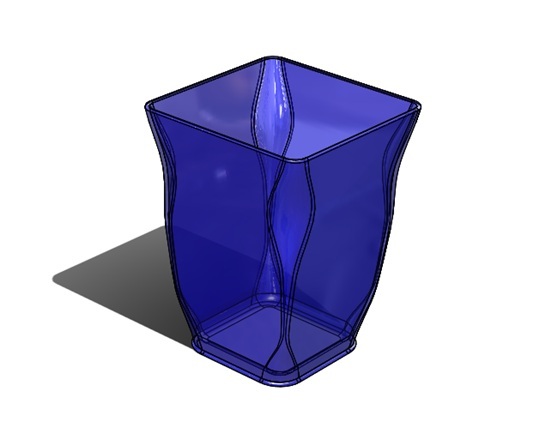 This month I will show you how to create a variable fillet. Ok, let’s take example I want to create a glass like this. 1. 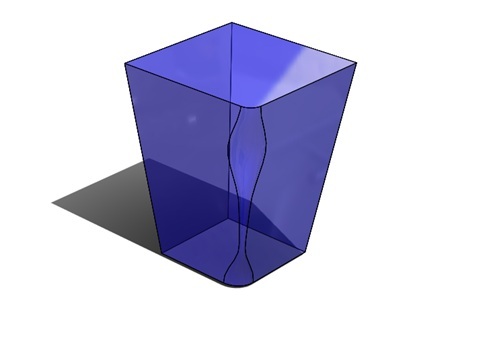 Create the glass shape. As you can see, the bottom area is smaller than the top area. Thus, The fastest way to create this profile is by using loft technique. 2. 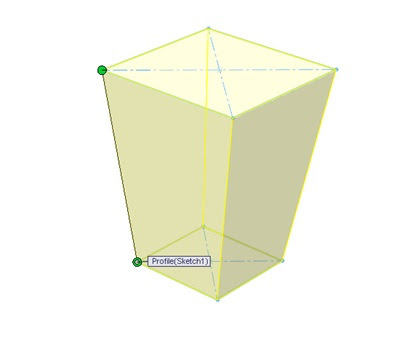 Create the sketch on the top plane. Then, create another sketch at the offset plane 100mm from the top plane. 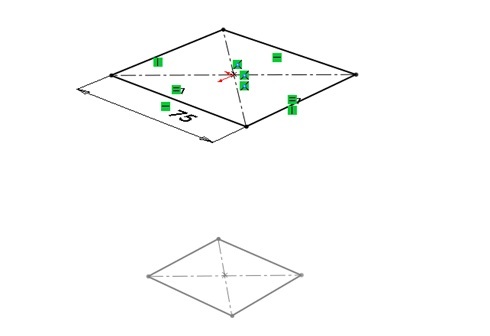 Sketch rectangle on both plane start from the origin. Use center rectangle type. 3. A good loft technique will bear in mind the location of the connector. Make sure that the connectors resume a straight line when you try to loft the shape. Shown below is the connector connection between one to the other. 4. Now, i want to create a variable fillet at the edge of the lofted feature. What is variable fillet? 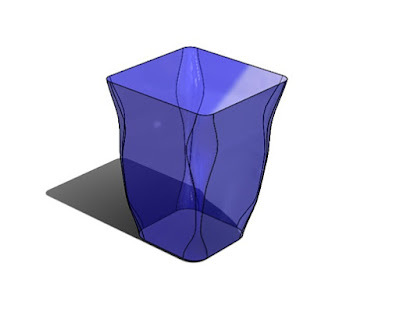 Variable fillet is one of the fillets inside SolidWorks. 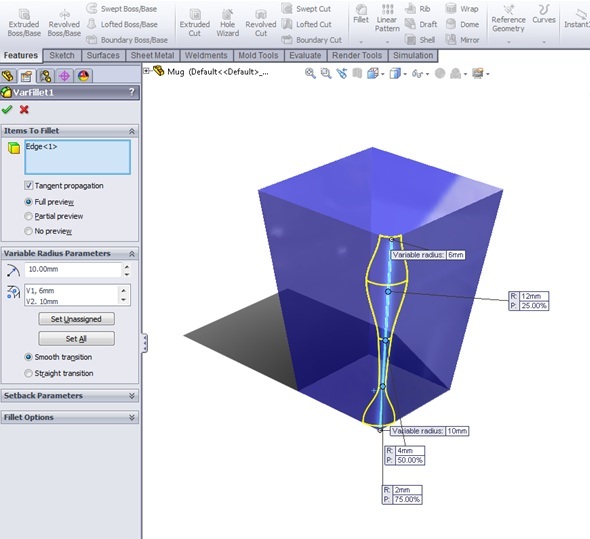 Using variable fillet, it allow you to use control points to define the fillet. Take example, this edge; I use variable fillets to define its radius at certain points. 5. The result would be like this. 6. 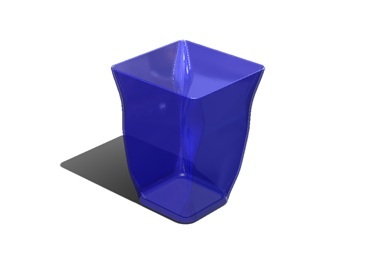 Next, I want to copy the variable fillet so that is looks like this. Okay, let the tutorial end here. I would like you to think how we can copy this variable fillet and put it at the other edges. When we are done with the brainstorming, we are going to finish the glass. Let's try this out. Warhamni (warhamni@cadcam.com.my) a.k.a 我爱你 (i love you)，she is the trainer for CADCAM training centre, SolidWorks Authorized training centre. Although she join the team late but trust me, she's good in 'playing' SolidWorks and a fast learner. She can easily answer you in no time, with her lighting speed Kawasaki.